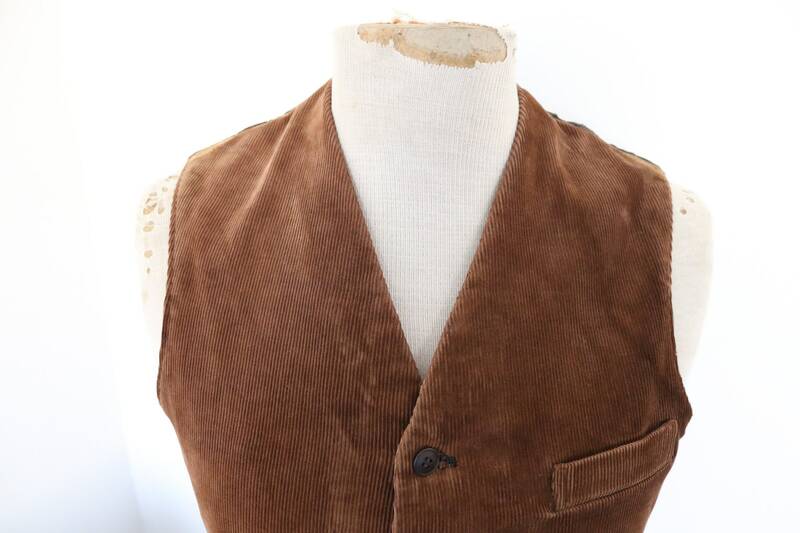 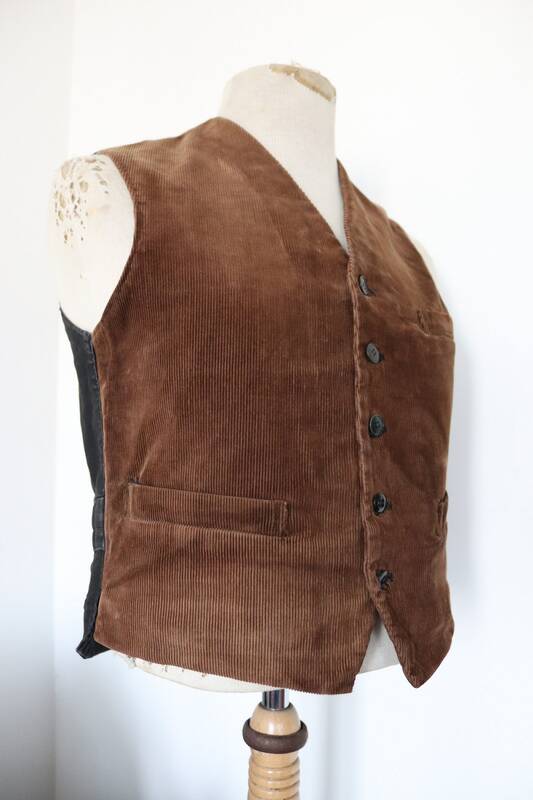 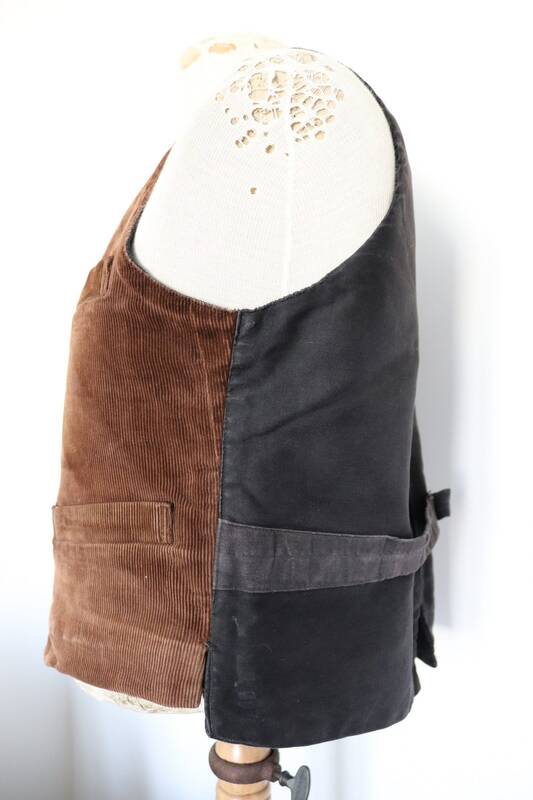 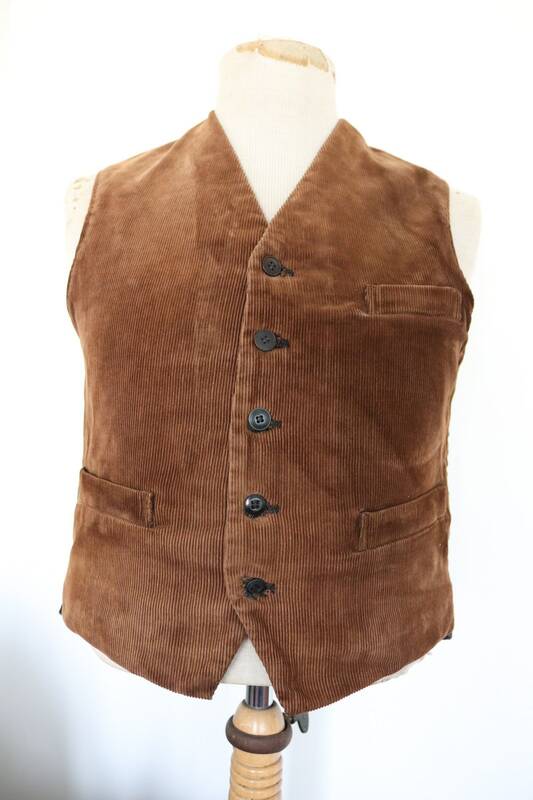 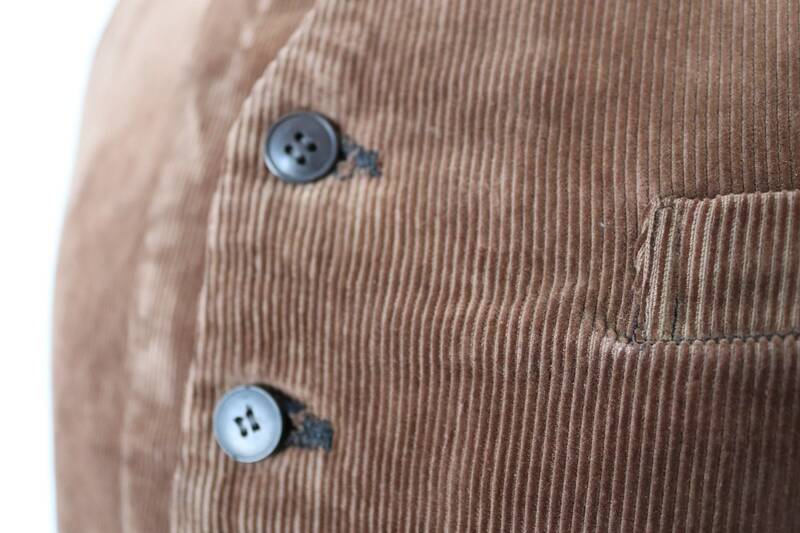 A brown corduroy French waistcoat dating from the early twentieth century. 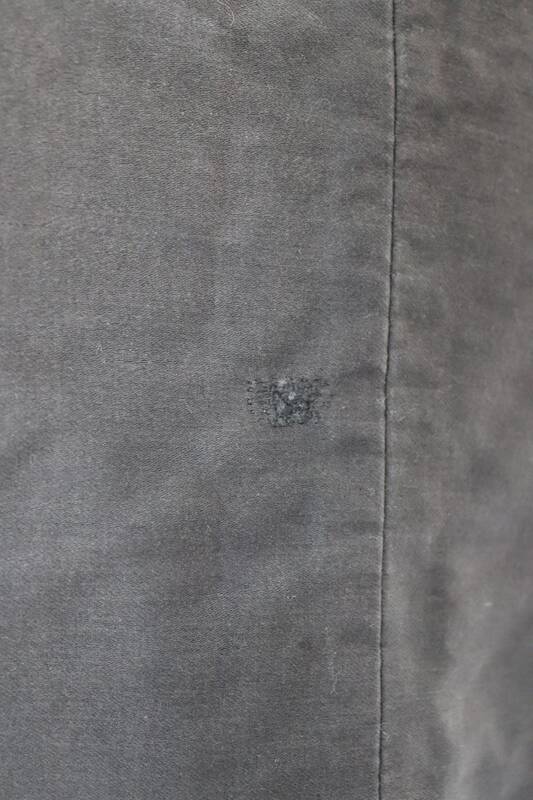 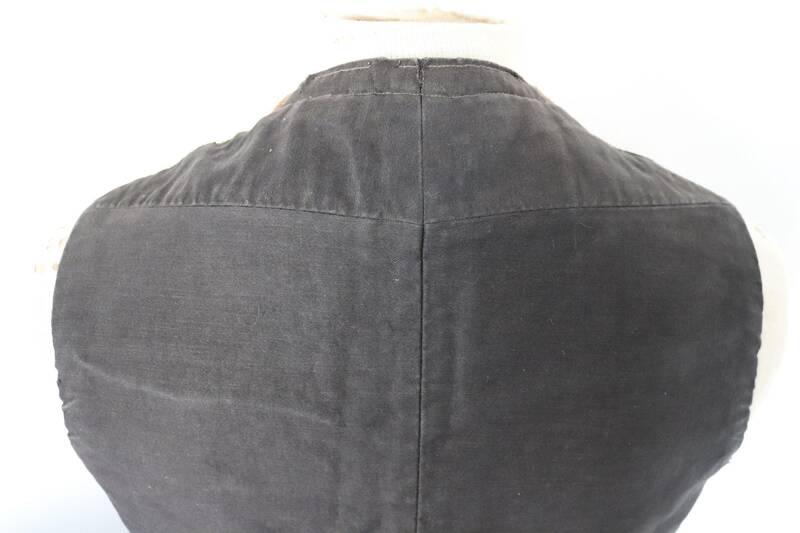 Noted flaws - the very outer edges of the top of the shoulders are discoloured, small repair on the back - please see photos. 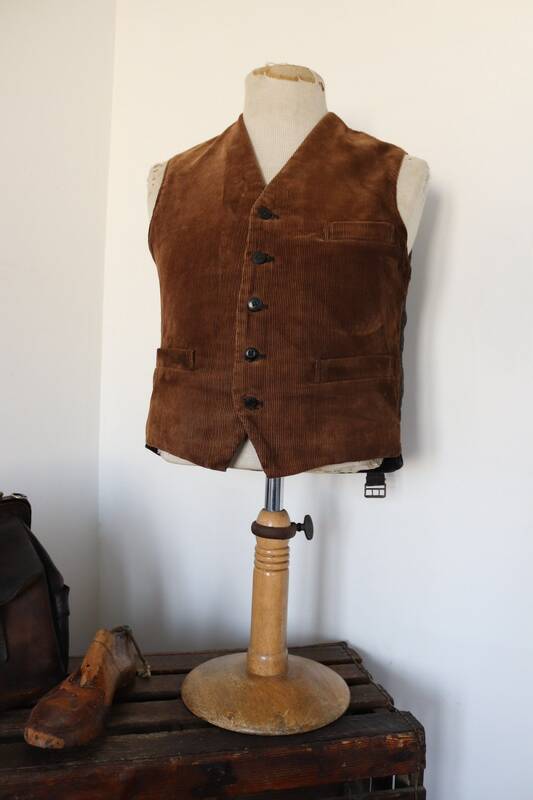 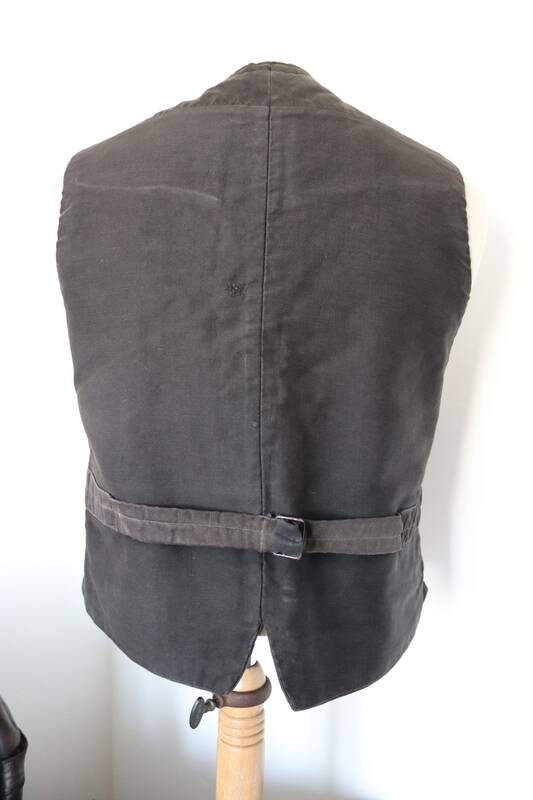 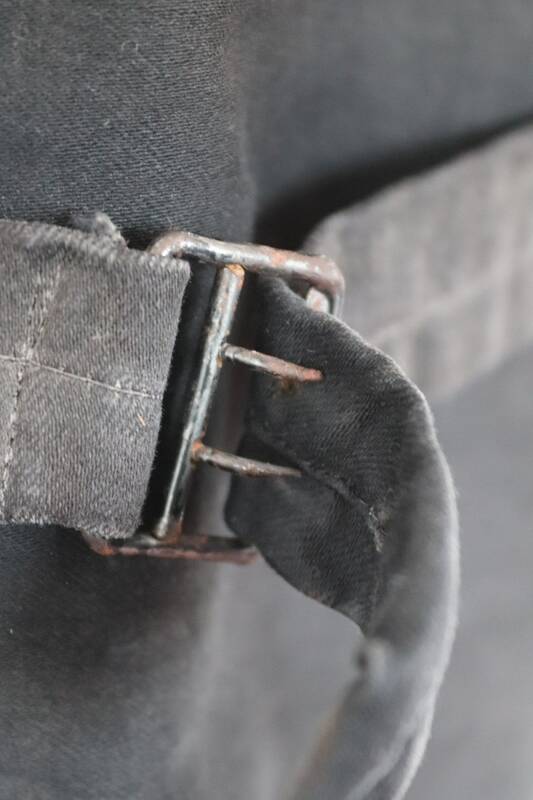 Excellent quality and condition otherwise, v notch and buckle back fastening, this style of waistcoat would have been worn under a shepherd's biaude, single chest pocket, two hand pocket, supple material, great style.